GlassWorks has been acknowledged as the leading glass fabrication company serving clients throughout the Greater Chicago Metropolitan Area since 1977. We are recognized as the foremost experts in glass fabrication in the United States. We are also well-known for our elegant antique mirrors. Mirror antiquing is an artistic silvering process whereby each of our antique mirrors is singularly distinct and a work of art in its own right. Regarded as the fastest growing glass company in the Midwest, GlassWorks is where the locals shop when they are searching for the most affordable and competitively-priced elegant antique wall mirrors or decorative mirrors for their homes. Whatever kind of the antique mirror glass customers want, GlassWorks will turn your dream antique mirror into a reality! For nearly four decades, we have been producing award-winning services for our deserving decorative mirrors customers. Each year, we serve approximately 4,000 customers each year! Recently, many Arlington Heights residents have come into GlassWorks to check-out our awesome selection of antique mirror glass. Arlington Heights, Illinois is in Cook County with close to 55,000 residents. Glenview, the home of GlassWorks, is conveniently located only 11 miles directly east of Arlington Heights. Whenever Arlington Heights residents are searching for the best buys in antique wall mirrors or decorative mirrors, they head directly to GlassWorks. Our elegant antique wall mirrors are assured to bring a level of sophistication to any Arlington Heights home. Furthermore, GlassWorks will tailor-make an antique mirror to the precise specifications of their Arlington Heights clients. 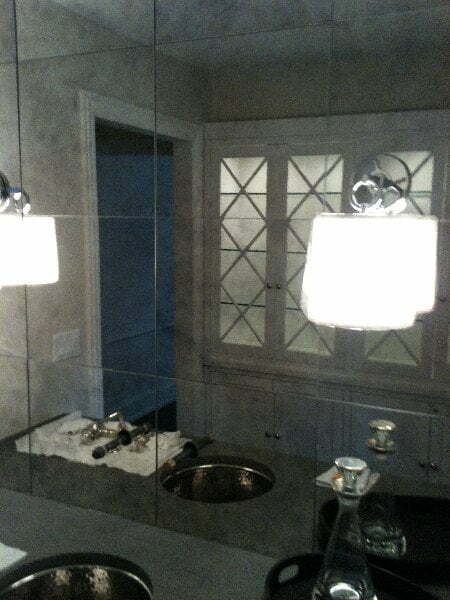 Arlington Heights customers understand that not only will our attractive decorative mirrors add additional space to a room, but they will brighten their rooms by reflecting light. GlassWorks offers the most outstanding mirrored glass products in the region. This is the reason so many residents continue to bring all of their requests for antique mirror and decorative mirrors to our attention. Regardless the antique mirror glass they want, customers know that they can count on GlassWorks to handle their orders promptly and efficiently. Customers realize that the GlassWorks installation technicians will treat their homes with the same respect they treat their own homes. They will also ensure that their decorative mirrors are installed properly. With all of their experience, our installation professionals will help customers with all aspects of their antique mirror glass projects. To get the mirrored glass products that are guaranteed to enhance your home for the years ahead, call GlassWorks, today, at: (847) 729-5580 and ask us about our FREE ESTIMATE!